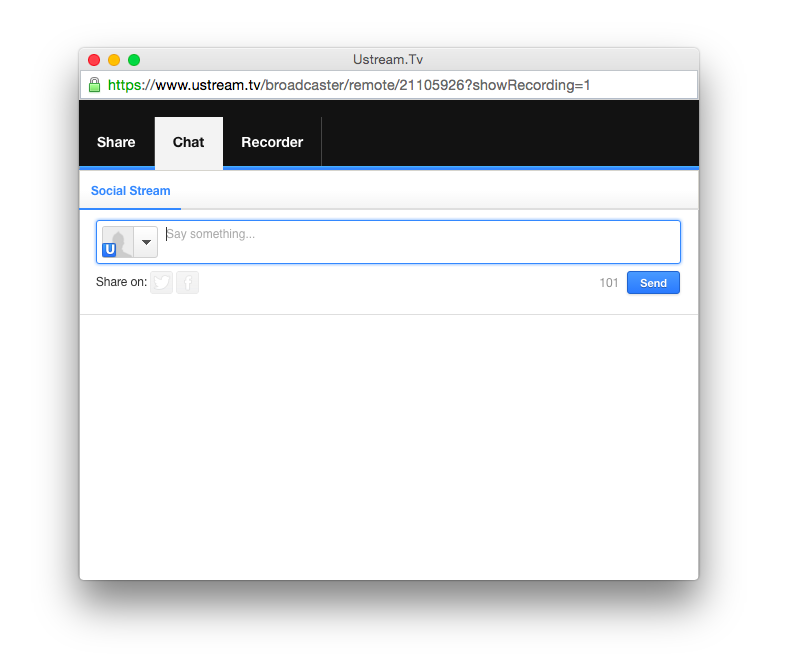 In addition to Ustream Mobile Apps and Web Broadcaster, you can also stream to Ustream using a variety of third-party encoding products. This compatibility with most encoding products on the market offers you an excellent number of choices for streaming, from free and easy-to-use, to robust and configurable encoders that offer enterprise-grade professional features. If you're new to the world of encoding, we recommend you get started by reading our Guide to recommended encoding solutions and also make sure you are familiar with IBM Watson Media's recommended encoding specs. And don't forget to read the manual for whatever product you buy! By learning your encoder's settings and following recommended encoding settings, you can combine the power of industry-leading hardware and software with the industry-leading streaming platform. 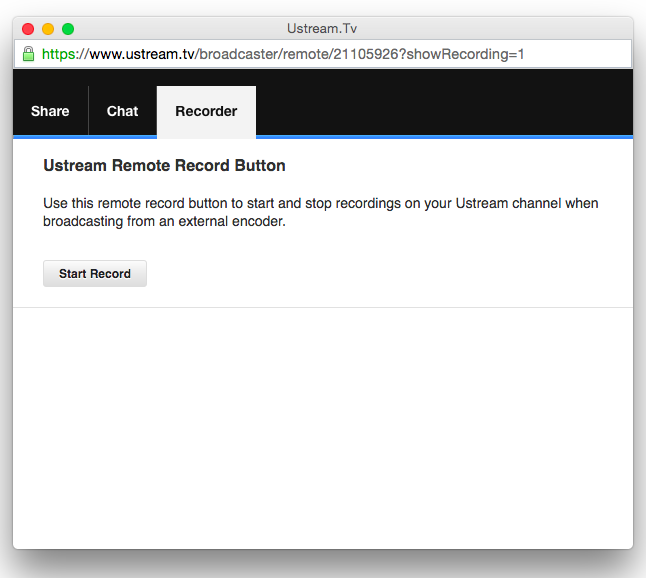 Note on plugins: Many third party encoders have built in plugins that allow a user to enter their login using their Ustream or IBM Watson Media(or other service) credentials to access their endpoints for streaming. 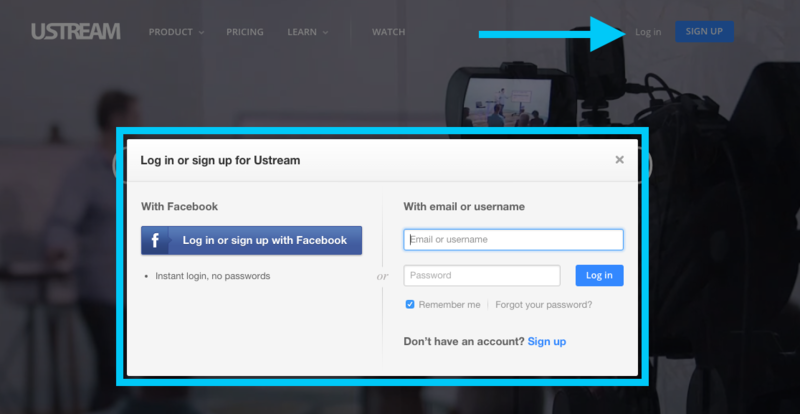 We have discovered that connecting via the Ustream plugin, or logging in with your Ustream credentials, can cause broadcasting issues. To avoid this, please connect via manual RTMP configuration as opposed to using IBM Watson Media or the older Ustream login credentials and select a channel. 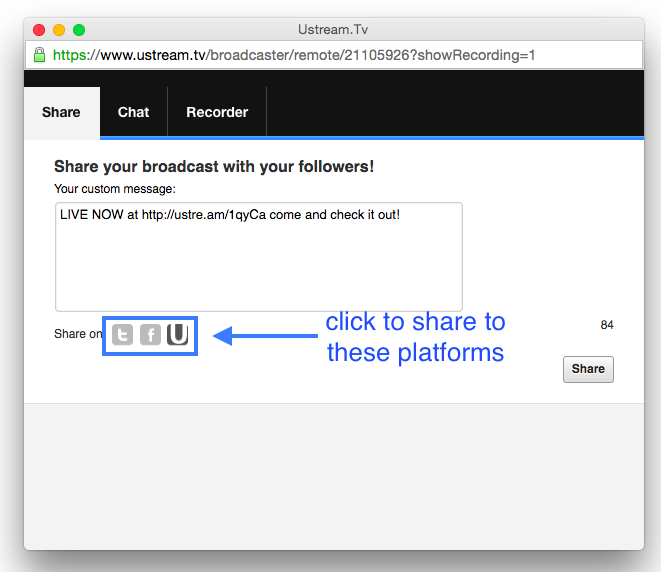 You can find instructions for streaming to Ustream for some of the most popular encoders here, or follow the instructions below to obtain the RTMP server address and the stream name for your IBM WM channel and consult your encoder's manual for how to send RTMP streams. Log in to your account, or create a new one if you don't have an account yet. Hover over your user icon in the top right of your screen and click on Dashboard from the drop down menu. 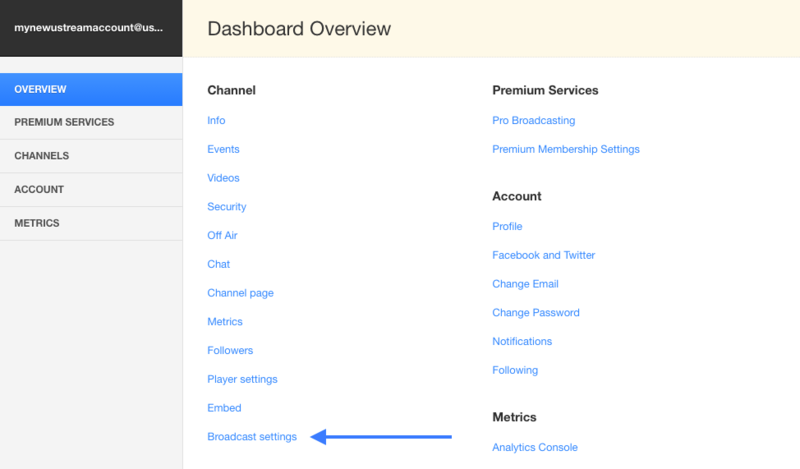 Click on Broadcast in the dashboard, or Broadcast Settings in the channel menu. 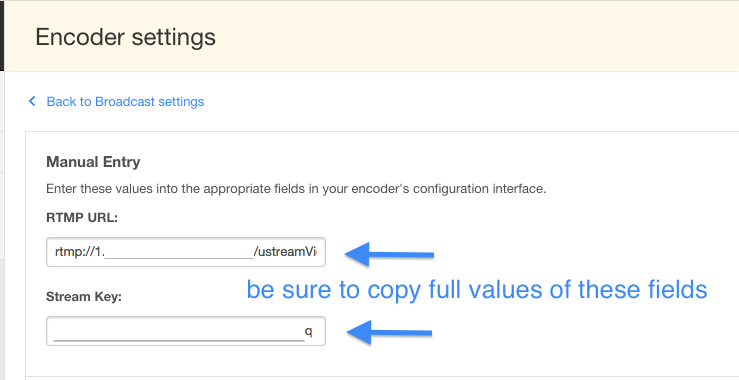 Click on 'view' to the right of the Encoder Settings field. Copy the RTMP address and the Stream Key from the IBM WM Encoder Settings page. Paste these into the corresponding fields in your encoding software. These fields often have different names depending on your software. The remote console allows you to control your stream and interact with your viewers while streaming. Click Launch Remote Console from the Encoder Settings tab to open this panel. 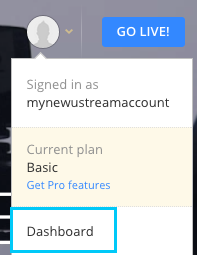 Click on the record tab and use the record button to start and stop recordings on your channel. The share menu allows you to get a link to your channel and share it on Facebook and Twitter. Also, typing a message in this box and hitting send will email all the followers of your channel on IBM Watson Media. Click on the Twitter or Facebook, buttons to send your message to followers on any of these platforms. Use the chat tab to moderate your social stream and chat with your viewers.